Just Look at the amazing details in this kit. The weathered brick walls we created for this project have "ghost" walls, chipped and missing bricks and remnants of old mortar in place. 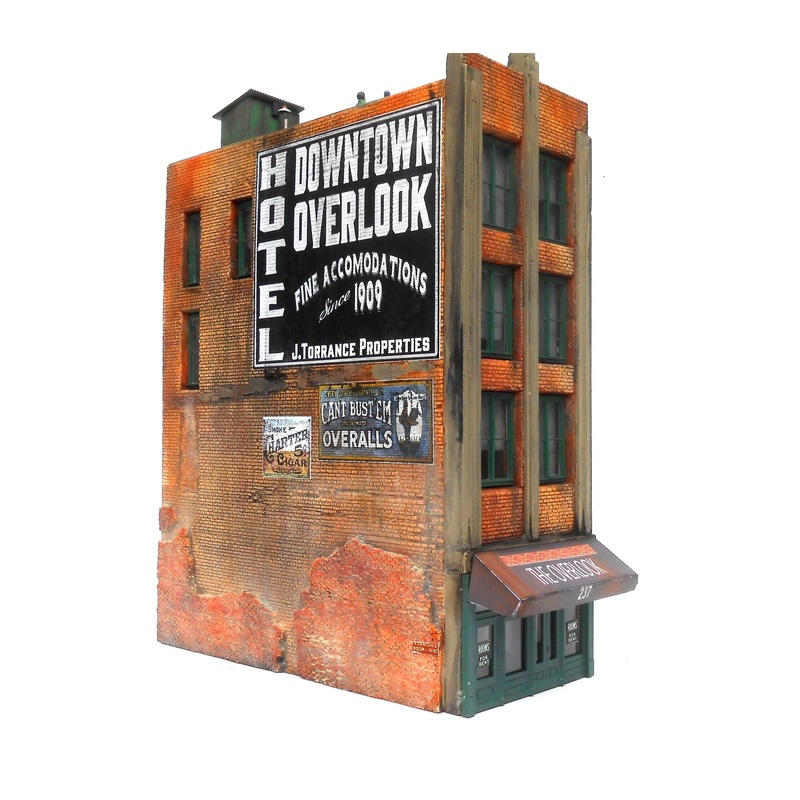 Kit includes wonderfully detailed hyrdrocal castings, plastic doors and windows, roof vents and details, a custom set of waterslide decals and full color, easy to understand assembly, painting and weathering instructions. 3" x 7". Figures not included.